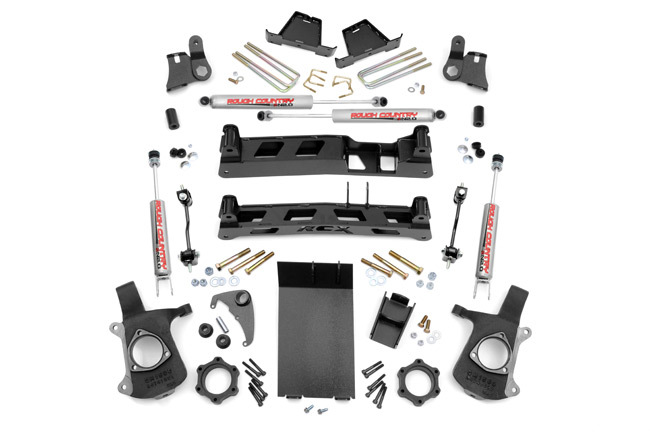 This lift kit is the newest available for the 1999 - 2007 Chevrolet K1500. The kit lifts the front of the truck 3" and the rear up an average of 2". (Actual lift height depends on the condition of the current leaf pack.) This gives you a lifted look without the hassle and expense of a conventional drop bracket kit. The kit installs in 2-3 hours, and can be installed with hand tools. 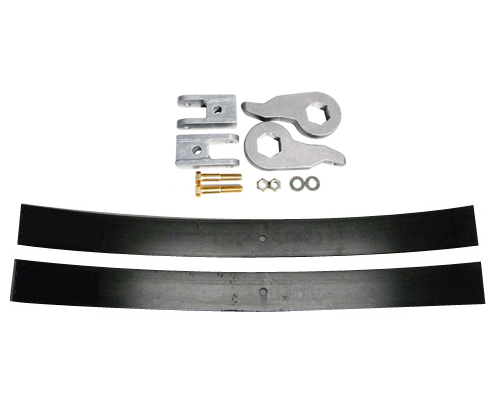 The rear add-a-leaf springs are great for towing or hauling and actually increase the load capacity by 900 - 1,200 lbs. Lifts the front of the truck 3" and the rear an average of 2"
No Need for Longer Front Shocks - Shock Extensions are Included!